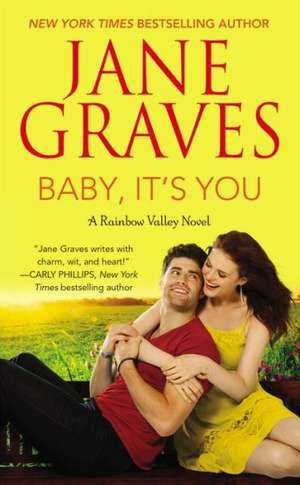 New York Times bestselling author Jane Graves is a nine-time finalist for Romance Writers of America's RITA Award, the industry's highest honor, and is the recipient of two National Readers' Choice Awards, the Booksellers' Best Award, and the Golden Quill, among others. Jane lives in the Dallas area with her husband and a very sweet kitty who kindly keeps her lap warm while she writes. You can write to her at jane@janegraves.com. She'd love to hear from you! "The second Rainbow Valley book weaves a fairy-tale romance into the real world of heartaches, struggles and tough choices, and Graves balances both with surprising skill. The main couple's chemistry is searing because of, and in spite of, their differences, and their journey together is emotional and moving. Equally significant, the relationship between the hero and his daughter is treated wtih wonderful sympathy and gentle humor. All this makes Graves' latest a heartwarming read on every level and a sure success." "4 1/2 stars! HOT! Graves kicks off her new Rainbow Valley series with a truly heartwarming romance, featuring a wounded hero who needs the heroine's healing power of love. This is definitely a story for animal lovers, set in a delightful fictional town readers will wish they could visit. Anyone who has ever worked with animals will empathize with the heroine." "Graves, a nine-time finalist for Romance Writers of America's RITA Award, writes captivating, emotion-filled stories that sparkle with delightfully humorous moments. This charming tale is the first in Graves' new Rainbow valley series." "Pet lovers will appreciate this small-town contemporary, the first in a new series set in Rainbow Valley, Texas, home of an annual pet festival." "Graves' words flow on the page with ease and the pages turn effortlessly. Featuring characters that are unique yet very easy to relate to, Black Ties and Lullabies is simply a very well-written story."